Walking down Steinway Street in Astoria, I stumbled upon an establishment I have grown to love, the Salvation Army Store. You can’t pass the Salvation Army Store and NOT go in – you never know if you’ll find a Ukrainian unicorn place setting. So I did go in. Pretty rapidly I realized there was nothing there of immediate need (out of place settings). 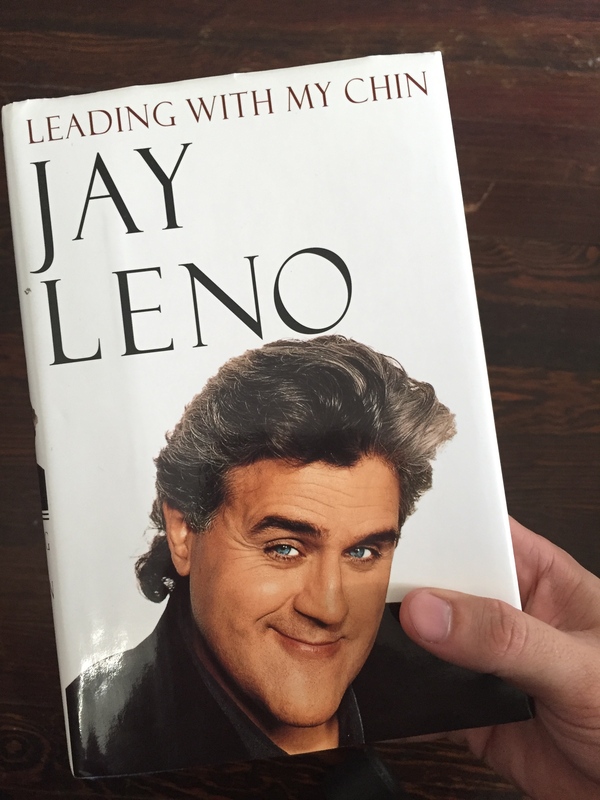 However, I did browse the books section and found this gem: Leading With My Chin, a collection of stories by Jay Leno spanning from his childhood to the time he officially took over as permanent host of The Tonight Show. The sign on the bookshelf read “All hardcover books – $1.” I looked inside the cover: “US = $22.” Booyah! This is what I live for! THIS is why I go to the Salvation Army Store. I didn’t know much about Leno and I’d never seen the book before, so I figured “yeah I should read this.” And it was great. I recognized a couple of the stories from Leno’s appearance on Comedians in Cars Getting Coffee, but everything else was new to me and pretty fun. 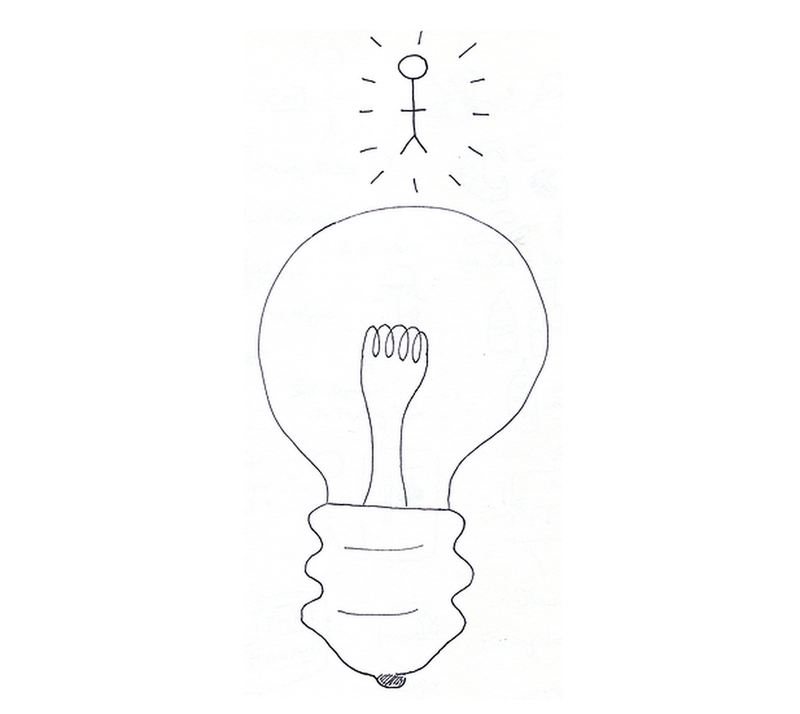 In certain ways, it was similar to Steve Martin’s Born Standing Up: A Comic’s Life. It chronicled his adventures coming up to fame in comedy and covered a lot of Leno’s family life. However, it definitely wasn’t as comic-focused a book. The stories were mostly “funny” stories: the type of go-to stories that Leno would tell over and over again on talk shows like CCC not a “here’s what it’s really like to be a comic and I don’t care if it’s funny at all” type of book. Which is probably why I’ve never heard of Leno’s book before and Martin’s is such a legendary book among comics. The two authors were going for different audiences. Regular people love to read comedy whereas comics love to read about comedy. Well, regular people like to read about comedy too, but maybe not as much. At least one would hope for the sake of this blog. Soon after I bought the book, I was Skyping a friend and the book was lying around…shoving the cover in front of the computer camera is a great way to freak people out! Since I didn’t grow up watching late night TV like every comic ever, I’ve probably only seen Leno on TV once or twice. Staying up late wasn’t the problem. As a kid I wasn’t allowed to watch TV on weekdays, but I could stay up as late as I wanted…to work on homework! Sweet deal, right? All three of these things bother me, but the one that honestly gets me the most is the pandering comedy. I always kind of had that feeling about Leno. In fact, when nearing the end of his book, I couldn’t help but notice that all the stories were essentially the same in structure. A funny thing happened, it reached a conclusion, and then there was a “button” to the end of the story where he made a little joke to close it out. It’s good writing, but it’s all the same. There’s no risk or excitement or surprise if you’re using the same structure over and over again. It’s safe and to a comic safe isn’t very funny. And come to think of it, it’s really my issue with late night TV in general. There’s a lot funnier stuff out there that is new and unique. That’s why I liked Ferguson. He got that what he was doing was a joke and embraced that. But that’s just one opinion coming from one comic. That being said, I don’t like the type of jokes he does. For my personal taste, he’s too political and too entrenched in current events. Which is fine, just different. But his material isn’t all that strong either. I tend to agree that the subjects of his jokes and his performability far outweigh his actual material. And again, I wasn’t around for all the controversy. But if everyone in the industry seems to hate him, there is probably a reason why. But, I also tend to think that whatever he did to get the job a lot of other comics would have done the same. From my perception, a lot of the industry is stepping on toes anyways. I guess the way to sum up my feelings about Jay is to say that I don’t like him but he is funny. There’s a difference between liking and respecting. I’d read his book again. You should read his book, especially if you like some family funnies and a few crazy stories. Posted on 09/28/2015 10/30/2015 by stumeltonPosted in ArticlesTagged comedy, Jay Leno, late night.